Encore Vision offers you a wide selection of eyewear, a full service lab and the benefits of combining botH. Choose from our wide selection of high quality, cost effective eyewear that matches today's market. We have over 500,000 frames in-stock, showcasing a variety of frame collections that carry a Two-Year Manufacturer's Warranty*. Our full-service digital lab offers you uncompromising quality, selection and service, that's priced to maximize your profitability. Your patients have high expectations. We give you the products to exceed them. By pairing Encores frames selection and lab services we can offer a frame-lens solutions for greater convenience, faster turnaround & cost savings. This also helps by keeping the frame on the board, minimizing board management. 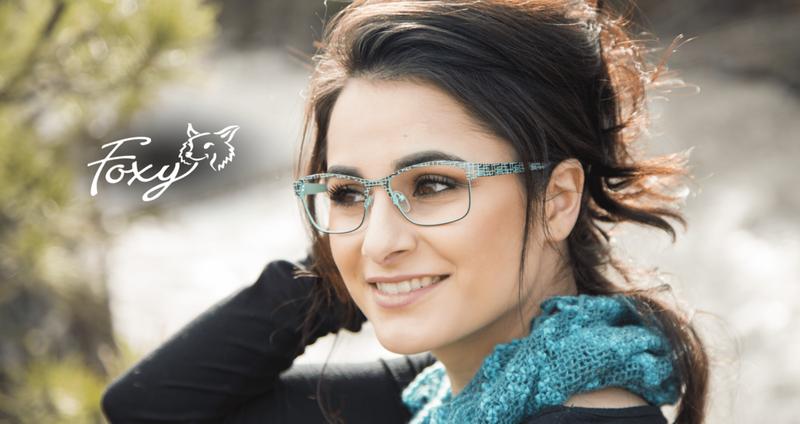 Encore Vision Eyewear: High quality, cost effective eyewear that matches today's market. We not only provide eyewear products, we provide eyewear solutions! Encore Vision, Inc was established in 2003 and has been providing quality eyewear to companies both large and small throughout the United States and Canada. As a factory direct source, we specialize in designing, developing and manufacturing eyewear in order to provide the quality, style and value needed in today’s marketplace. Encore Vision Digital Lab: An independent lab dedicated to quality, innovation and you! We bring our customers the service, products and benefits to help them differentiate themselves from the competition. Your patients have high expectations. So do we. You pride yourself on the quality and care your office and dispensary offer your patients. We pride ourselves on ensuring the product you give them matches that commitment. We measure our success on quality and service, first. Take a moment to explore what Encore Vision Digital Lab can offer your practice and your patients. Digital lens processing provides the best vision available. By using CNC lathing technology that is calibrated to within 0.001 mm accuracy, more advanced progressive designs can now provide even better vision to your patient. Wrap frames and designer frames require a combination of optical experience, advanced equipment, and skill. Encore Vision offers all of the above. You can trust us to get the job done with the best possible product. Protect your patients vision against glare, scratches, smudges and harmful UV rays with the best-in-class AR treatments, coatings and tints. We've got you covered with high quality, consistent and well priced service and product. Top Brands & Lens TreatmenTs: Choose what’s best for you and your practice. Your independent practice’s competitive edge lies in what make’s you unique. Product diversity is essential to this strategy. Encore Vision’s can offer you a wide array of product and are not limited to specific brands or sales initiatives. VISION EASE offers a broad range of quality premium lenses including Coppertone® polarized , LifeRx® & ChangeRx® photochromic and Outlook® & Novella® progressive lenses. In addition to their premium lens offerings, we also provide many different styles of lenses in polycarbonate, plastic and glass materials. With their extensive product offerings and commitment to quality, VISION EASE products are among the best. Ranging from clear lenses, progressive design lenses and polarized and photochromic lenses Younger Opticsl offers some of the most advanced clear lenses and sunwear on the market. A leader in the Trivex® product category with Trilogy® lenses, Younger Optics has combined their NuPolar® and Transitions® lens treatment to create some of the most advanced lens options available. Seiko continues to lead the way in the free-form progressive revolution. We offer a variety of designs suitable for every lifestyle that are individually crafted to the patients exact Rx. Choose from Seiko's Succeed, Supercede II, Supernal, Surmount, and Superior designs in nearly every material: 1.50, polycarbonate, Trivex ™, 1.60, 1.67, and 1.74. Seiko's Super Surpass ECP AR features an anti-static, super hydrophobic/oleophobic topcoat that repels water, oil and grime. This super hydro/oleo coating is even more slippery with added durability (contact angle is 107 after 20,000 wipes), and the Colts Real Life Simulation score was 4.7 out of 5 (top 94 percentile in ranking).